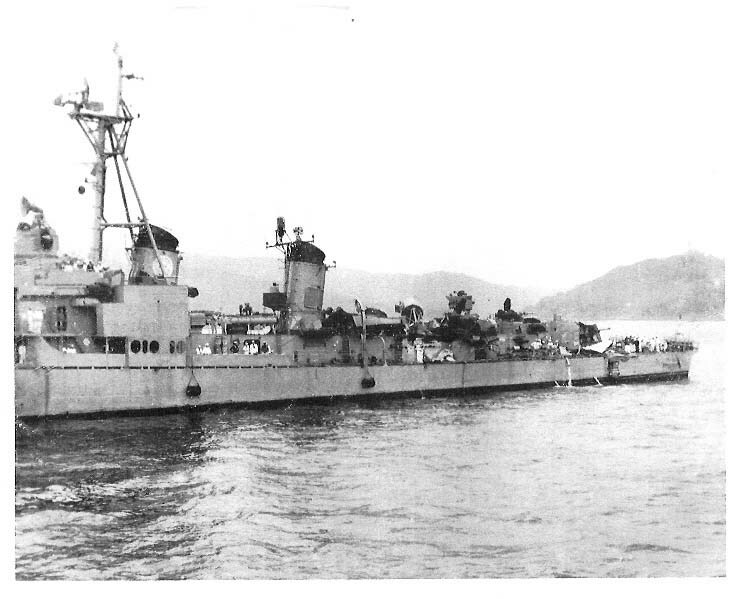 incident occurring sometime during Fred Petersen's time on board DD-710... between 1957 and 1960.
a merchant ship off of Norfolk in 1959. 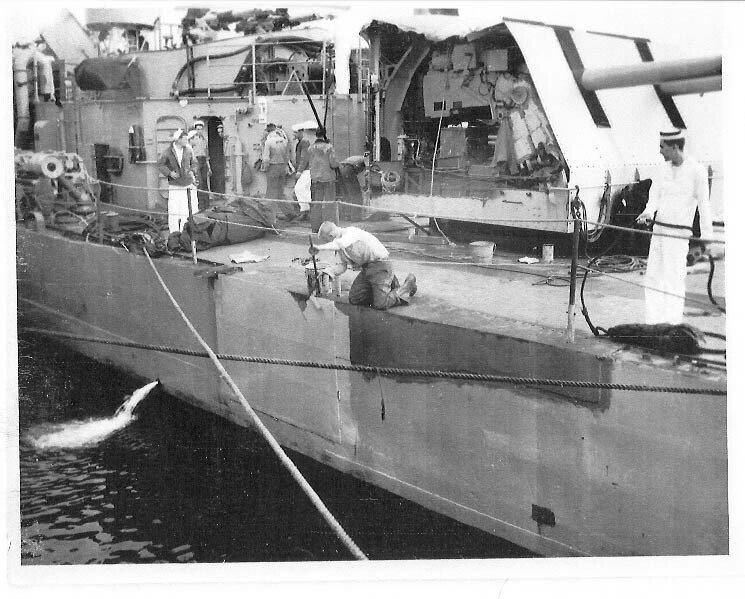 DD-710 was damaged on the starboard side forward of the break. 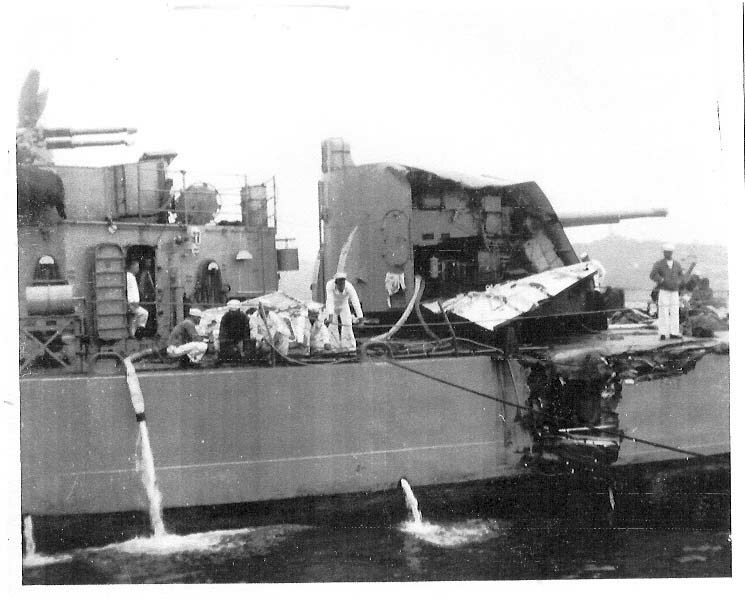 Our mystery photos show the DD being damaged on the port side by Mount 53. Has our ship's history omitted some history? Does it need some amending?